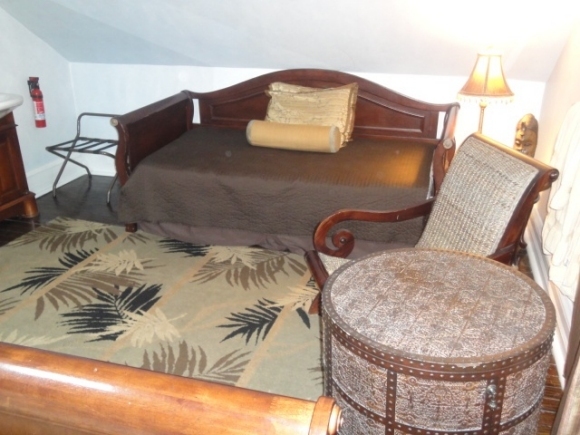 The British Colonial Room (Room #3) is the largest room in the inn. Guests who are staying at the inn for longer periods tend to find this room most pleasing, given the extra space. It features a queen-sized sleigh style bed along with a convenient day bed (twin size) and a skylight offering plenty of natural lighting. 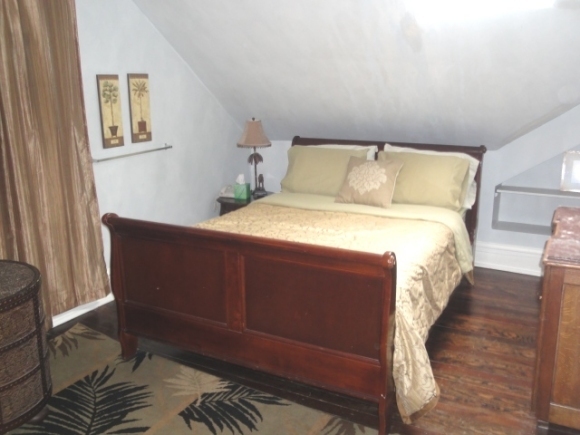 This room offers very generous space for two but can readily accommodate a third person. The British Colonial Room shares a hallway full bathroom (toilet, claw tub-shower, and sink) with two other rooms on the upper floor and has a ceiling fan, centrally-controlled air conditioning, digital television, wireless internet, colonial style chair and storage drum, and an in-room hot/cold sink. 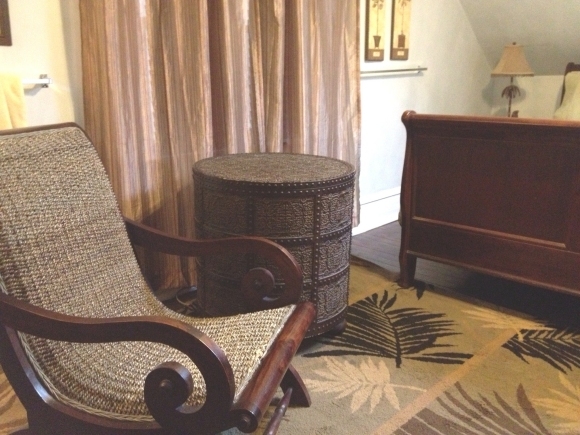 Styled in an eclectic mix of adventurous Hemingway style furnishings! Nightly rates range from $79 (winter) to $140 (summer). Other rates may apply during special events and across certain weekends.